By the end of first grade, most children have developed a sight word vocabulary. In fact, our curriculum strives to have children read and spell sight words correctly by the end of first grade. In addition, they should be able to write independently using simple and compound sentences. 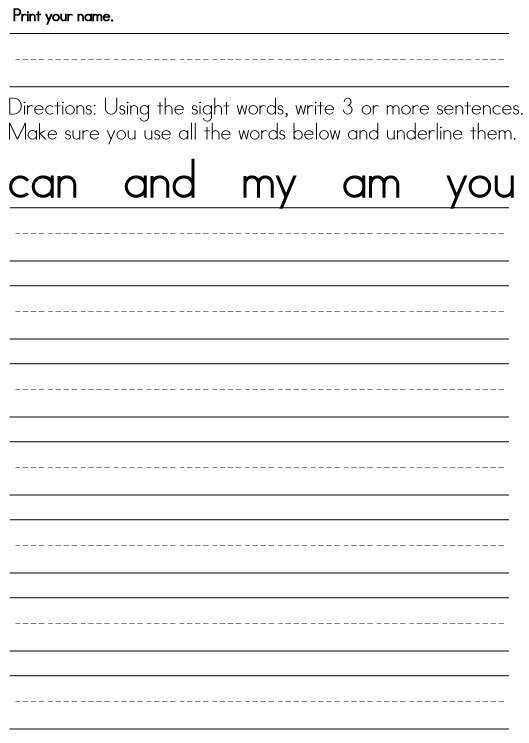 These sight word worksheets offer the perfect exercise to assist a child in achieving these first grade milestones. Click for additional sentence strips. Many reading programs encourage children to spell sight words correctly by the end of first grade. When writing, a child should include more than one sentence. 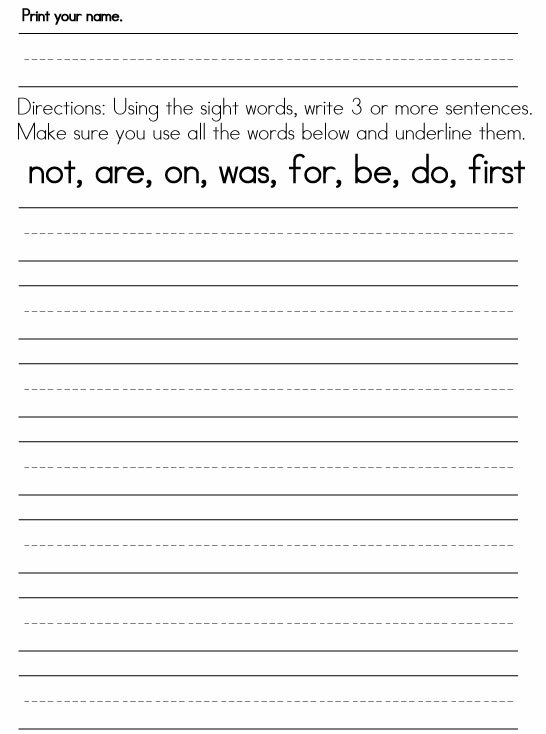 The above worksheets reinforce spelling sight words correctly as well as independently producing 3 or more sentences. If your child is struggling with writer’s block, ask questions to help them generate ideas. Assist your child and ask questions to prompt her to proofread her work and correct any errors. When your child is ready, encourage him to proof his own writing by asking the following questions. Did I put my name on my paper? Did I write three or more sentences? Did I use an uppercase letter at the beginning of the sentence and lowercase letters for the rest of the sentence unless it is the first letter of a proper noun? Did I use punctuation at the end of the sentence – . ! ? Did I spell the sight words correctly? Did I put spaces between my words and letters within a word close together? Did I take my time and use my best handwriting? Did I reread my writing to make sure it makes sense? 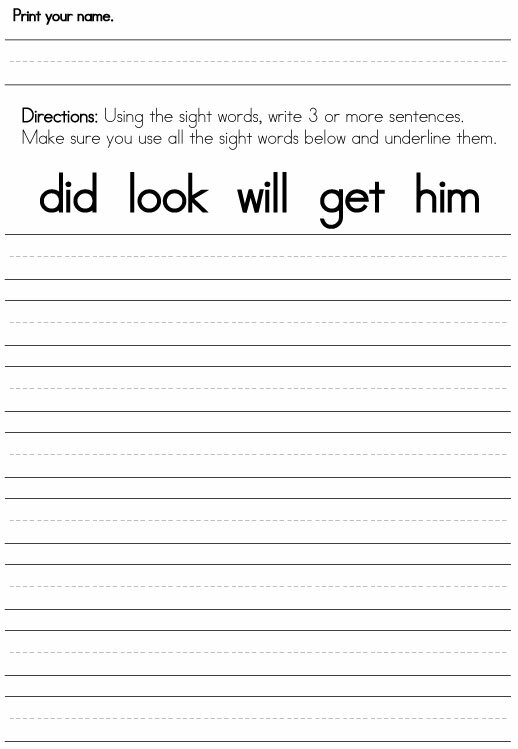 Sight word worksheets provide fun exercises that assist a child in developing a sight word vocabulary.